As one of the web’s leading destinations for auto related news and information, MSN Autos provides engaging content including seasonal coverage auto shows around the globe. 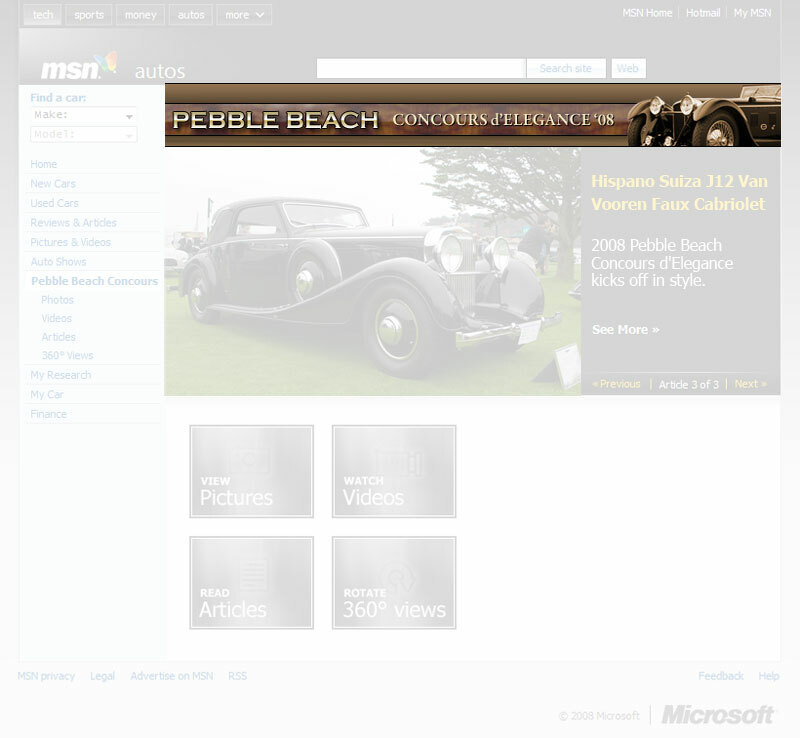 For this project, I was asked to design a header image for the Pebble Beach Concours d’Elegance for display within the MSN Autos channel. My goal was to create an-catching graphic that set the tone throughout that section of the site. All work was done in Adobe Photoshop.